We are all very well aware of the browser Google Chrome’s Incognito mode. It helps us search for anything on Google without recording it on the Google’s search history. It often happens that you find something weird that you want to look up for but also want it to not appear on their search history, Incognito mode helps you do that. But, what about YouTube? There are several unusual things that we find on YouTube interesting but also fear the fact that it will appear on the watch history, not only this, based on our interest we often get recommendations on YouTube which might get awkward. World’s highly used video-sharing website – YouTube has launched a new feature for its users. YouTube has come up with a new mode- The Incognito Mode. As noted by 9to5Google, YouTube as launched the Incognito mode for the mobile devices and you would be able to switch your search mode to Incognito once the update is made available. It has been said that the switching of mode can be done through the “Account” section of the app. There, the option for “Turn on Incognito mode” would be made available. The Incognito mode will help you watch videos on YouTube without recording it on the watch history; also no recommendations would be made based on the searches made in the Incognito mode. Although it keeps your search history clean, it will not help you watch all NSFW (Not Safe for Work) content. Switching on to the Incognito mode will change the appearance of the website just like the Chrome. 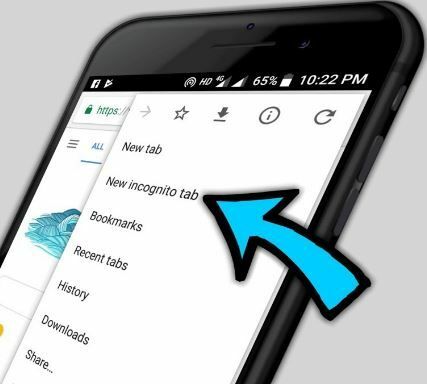 Incognito mode will clear the search history just after the exit; however, it has been made clear that the activities done on the YouTube might still get visible to the employer, school, or internet service provider. Using Incognito mode will disable the user’s subscription, inbox and library; also, the user would not be able to save any video to their playlist. YouTube’s Incognito Mode is right now made available only for the android devices but it may become available for other devices too.